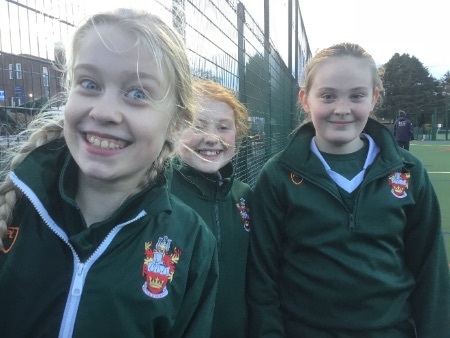 A windy afternoon was the setting for our match against The Blue Coat School. After only a short warm up (as a result of a traffic jam on our journey) the girls got going. They were determined to play well, but took a little while to settle into the game and found themselves playing a defensive game. Near the end of the first half they lost concentration and conceded a goal. However, they went into the second half much more determined. They held their shape and carried the ball up the pitch before passing, which worked much better. 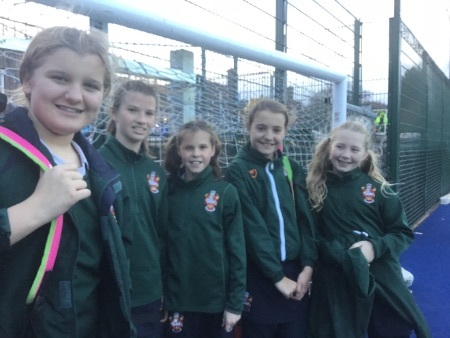 They also began to communicate more and this resulted in a fantastic goal by Izzy Yarwood. The final score was 1-1. They are now looking forward to the final game of the season against King's St Albans next week.